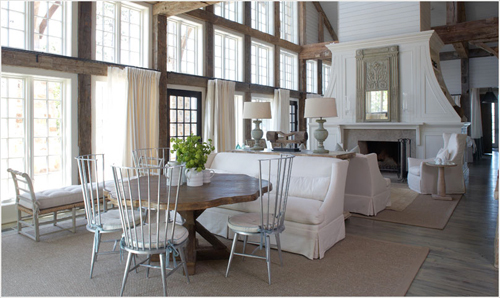 If one likes cozy and sublime, sophisticated yet homey, Tracery Interiors may be the interior design firm of choice. Based in Mountain Brook, Alabama and Rosemary Beach, Florida, this firm was started by Paige Sumblin Schnell in 2004. With a solid team at her side, Paige creates stunning interiors that have gained national acclaim. This beautiful lake house is a second home for a family whose main house is in Birmingham, Alabama. It's situated on Lake Martin and all I know is I want to live there when the family is back at their main house. 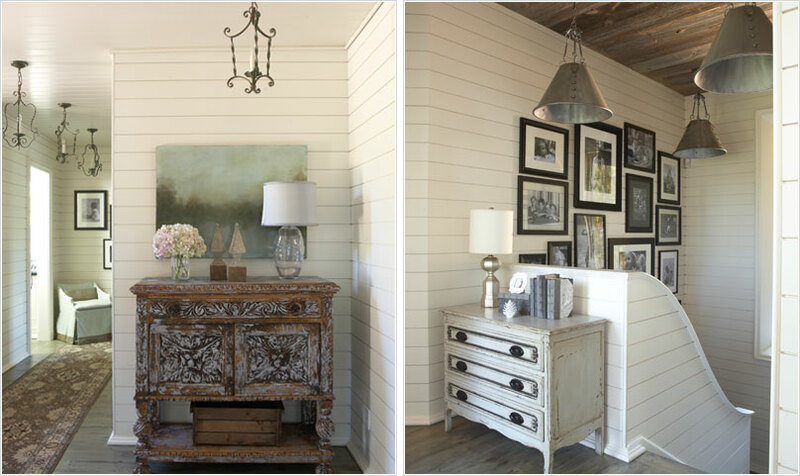 You'll notice reclaimed timbers throughout the home which brings in warmth and texture. As stated on their site, "French antiques are paired with raw wood and galvanized metal to create an aesthetic that's light, airy and unexpected."